Apple on Monday issued second betas of tvOS 9.2 and watchOS 2.2 to developers, cleaning up some of the bugs in the updates on the way towards finished releases. Installing the new watchOS beta requires an iPhone with iOS 9.3, also still pre-release. Installing the tvOS code can be done over-the-air by people who already have beta 1, but otherwise requires linking an Apple TV to a computer via USB and using iTunes or Apple Configurator. Neither beta appears to make any extra feature additions, but once completed the updates will already make significant improvements for Apple TV and Apple Watch owners. 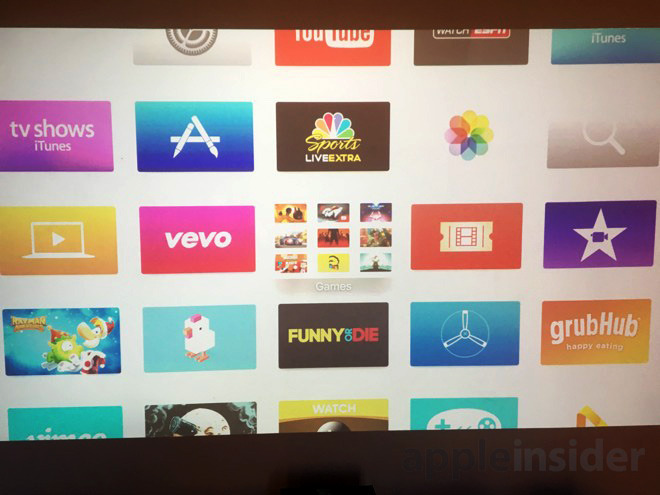 tvOS 9.2, for example, will interweave app folders, Bluetooth keyboard support, and a new app switcher. watchOS 2.2 will offer a better Maps app with support for iOS' Nearby feature, and quick navigation to a home or work address. Users will also be able to pair multiple Watches to a single iPhone. Apple has meanwhile seeded a second iOS 9.3 beta —adding a Night Shift button to the Control Center —and a new beta of OS X 10.11.4 that simply makes bug fixes. Update: Digging into tvOS 9.2 reveals the activation of iCloud Photo Library with Live Photos support. Users with an iCloud Photo Library account can access the feature by visiting the Settings menu. Live Photos captured on an iPhone 6s and synced to iCloud can be viewed by pressing on the Siri Remote's trackpad.